Swiss promotion code 2018 - €30 discount on all flights! Cheap return flights from Sofia to Krabi, Thailand from €392! Swiss promotion code 2018 – €30 discount on all flights! Swiss airlines have just released brand new promo code! This time travellers departing from Europen countries (where EUR is the currency) may easily save €30 just be using this Swiss promotion code 2018 when booking an Intercontinental flight. This Swiss Airlines discount code is possible to use when departing from main markes such airports in Germany. (Frankfurt, Munich, Berlin, Dusseldorf, Hamburg etc.). Netherlands, Belgium, France, Spain, Italy etc..Limited vouchers can be used (see further details below) so you better hurry up with booking if you want to take the advantage of this Swiss promotional offer. For instance you may book round trip flight from Amsterdam to China (Beijing) already for €366! How to appy Swiss promotion code 2018. This discount code is possible to use only when booking directly through website of the airline. Once you select your flight which qualifies just fill in all necessary details. In last step 7 (Payment) you may find separated “Redeem voucher” box to where you can simply enter this promo code. Total charge will be then instantly disocunted by €30! Note that minimum purchase value to apply this voucher code is €120. There are however some regulations to use this latest Swiss promotional code. Min. base fare of your flight in order to apply this promo code has to be €120 per person. One Swiss promotion code can be used per booking no matter how many tickets you purchase. this Swiss promotion code 2018 is valid for flights booked in travel period between 7th of January and 31st of May 2019. Validity of this voucher is unknown but will be probably not available soon as this promotional sale is valid for limited tickets.. Booking has to be done till 26th of November 2018. Booking sample of successfully applied Swiss promotion code 2018. In this case you would be departing from Amsterdam to Beijing on 1st of March. Your return flight from China back to the Netherlands would be on 15th of March 2019. Using this €30 Swiss voucher code you would pay just €366 for a round trip flight! This includes all taxes and fees. In this case checked luggage is included in base fare. 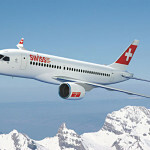 Enjoy your discounted flights with Swiss airlines..